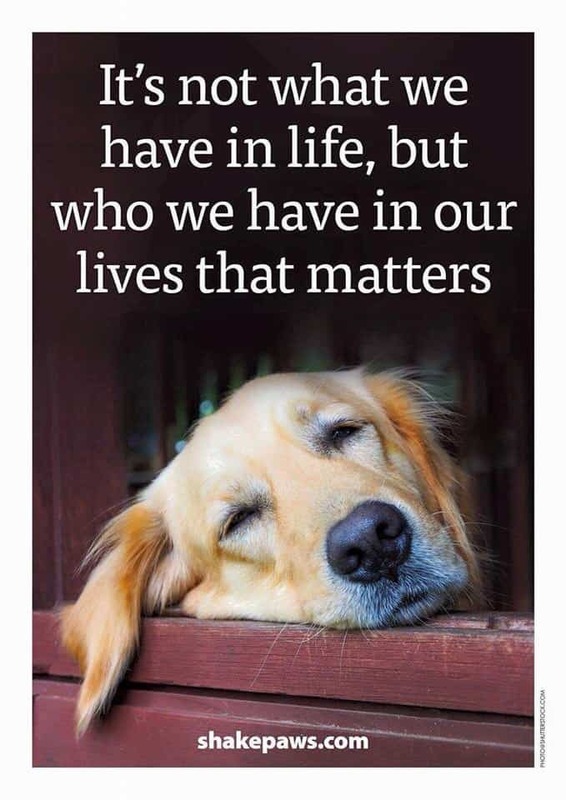 Sometimes it's hard to perfectly sum up exactly how we feel about our dogs, but a few famous quotes have done this so beautifully that you won't have to. 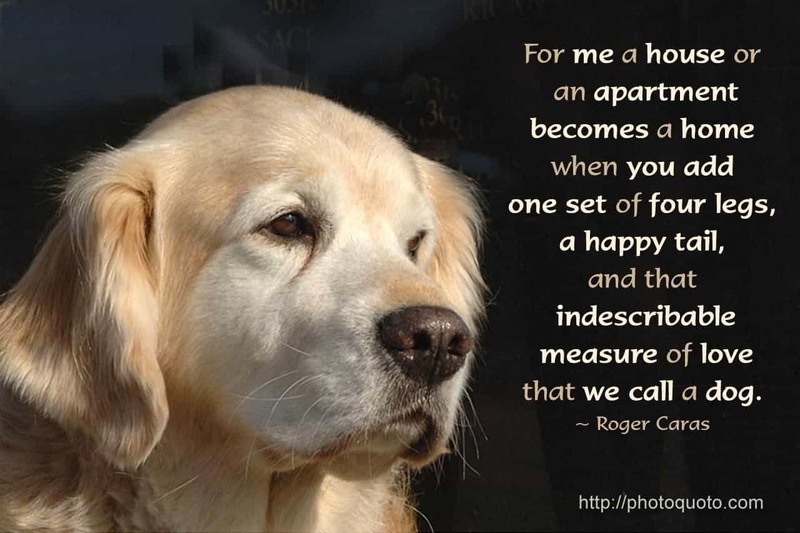 So here's some of the most elegant, heart-warming quotes about your dog, life, love, loss, and inspiration. 1. 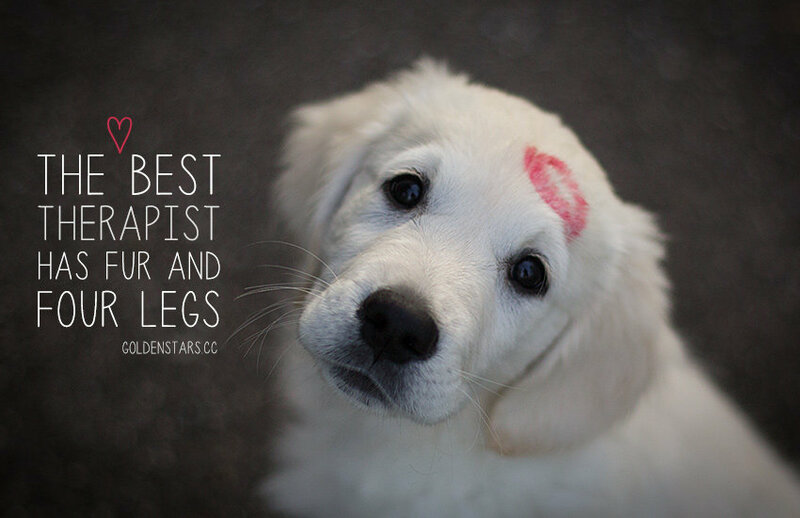 "The Best Therapist has fur and four legs." 2. "One way to get the most out of life, is to look upon it as an Adventure"
3. "Dogs are not our whole life, but they make our lives whole." 4. 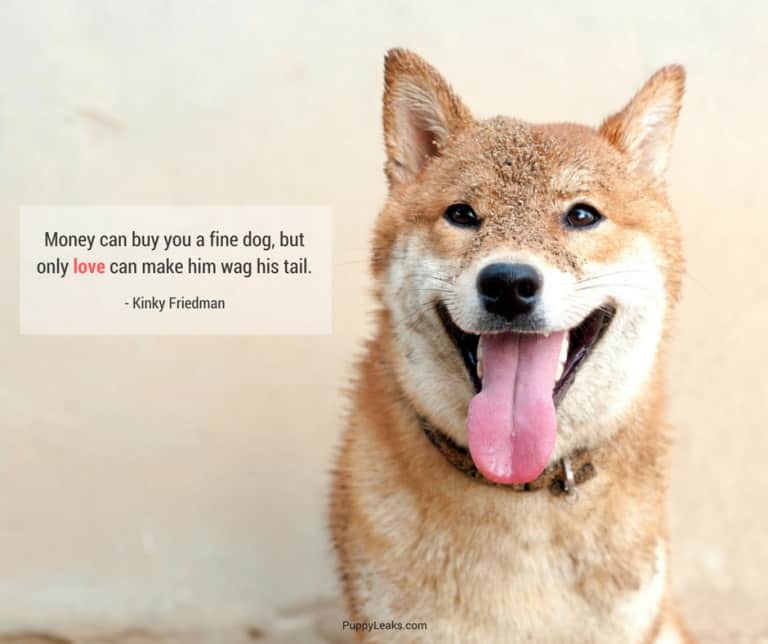 "Money can buy you a fine dog, but only love can make him wag his tail." 5. 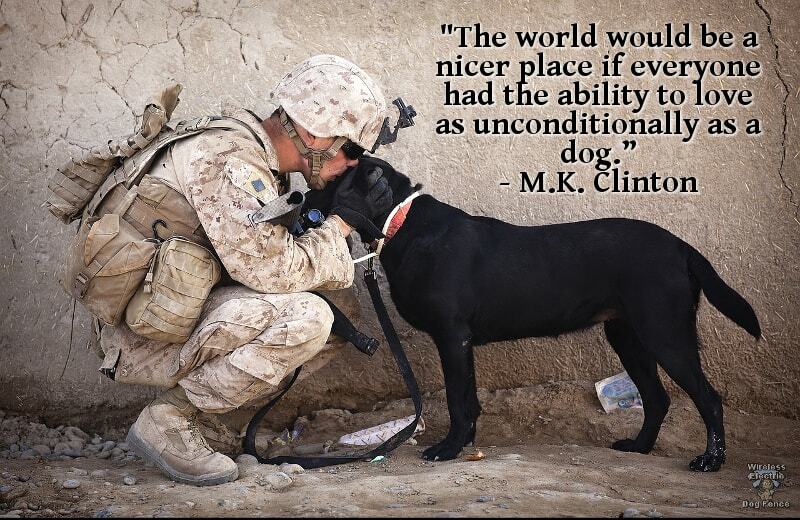 "The world would be a nicer place if everyone had the ability to love unconditionally as a dog." 6. 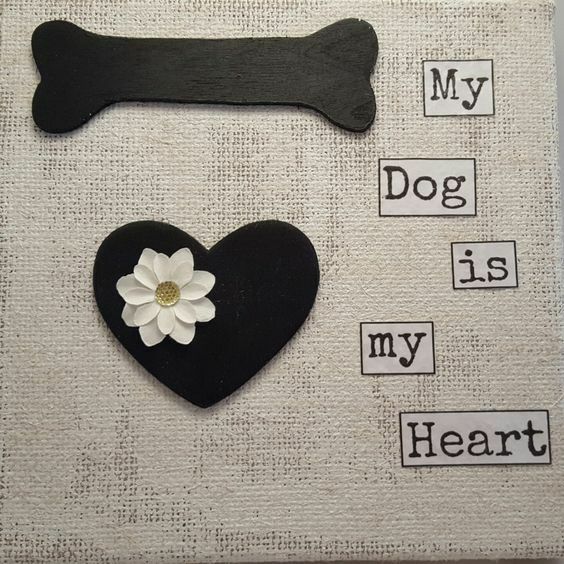 "My Dog is my Heart." 7. 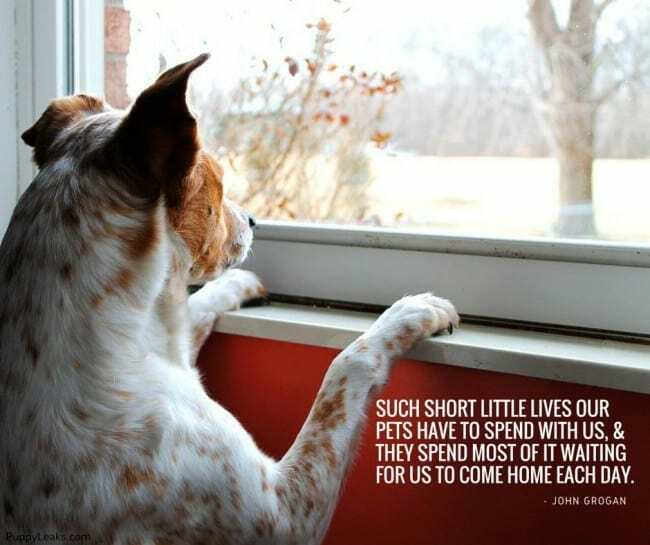 "Such short little lives our pets have to spend with us, & they spend most of it waiting for us to come home each day." 8. 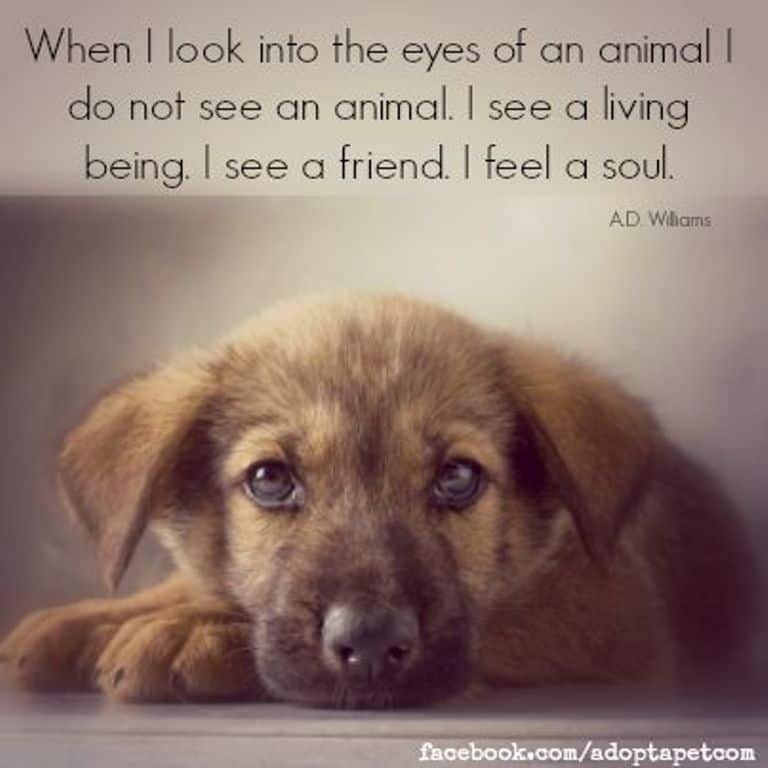 When I look into the eyes of an animal I do not see an animal. I see a living being. I see a friend. I feel a soul. 9. 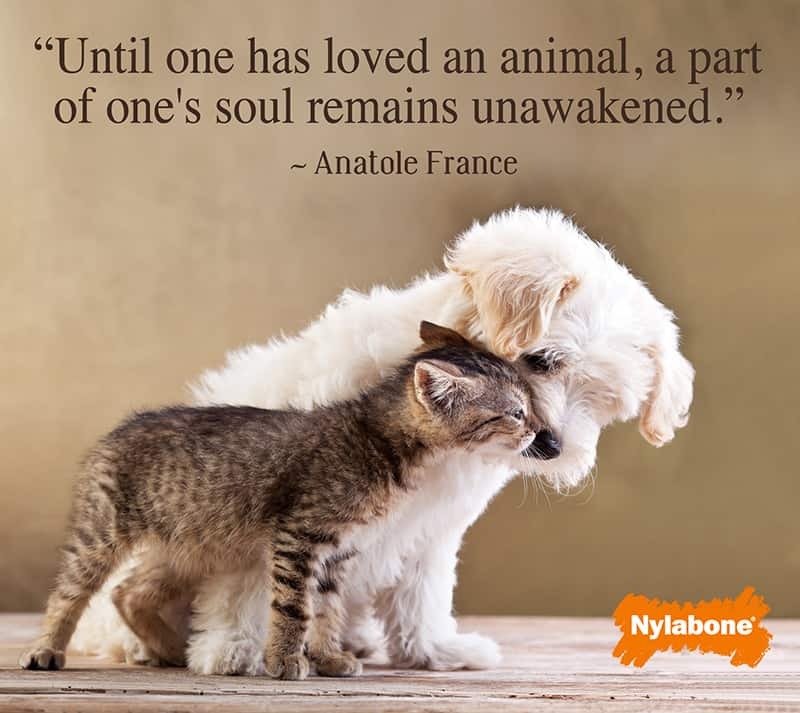 Until one has loved an animal, a part of one's soul remains unawakened. 10. "A dog is the only thing on earth that loves you more than he loves himself"
11. 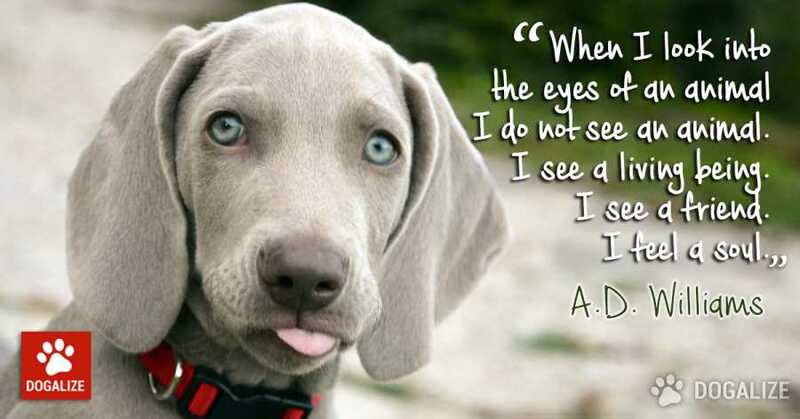 When I look into the eyes of an animal I do not see an animal. I see a living being. I see a friend. I feel a soul. 12. 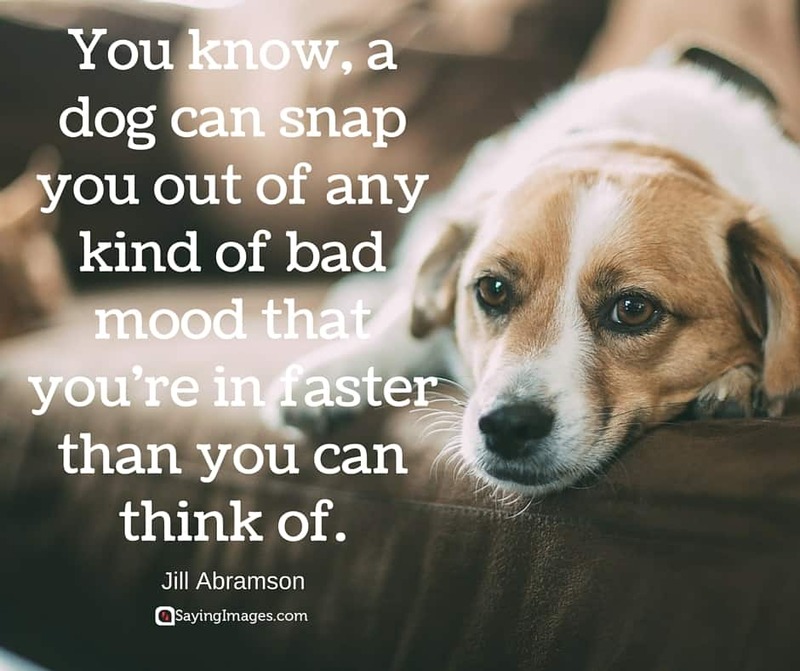 You know, a dog can snap you out of any kind of bad mood that you're in faster than you can think of. 13. For me a house or an apartment becomes a home when you add one set of four legs, a happy tail, and that indescribable measure of love that we call a dog. 14. My sunshine doesn't come from the skies. It comes from the love that's in my dogs eyes. 15. "When an eighty-five pound mammal licks your tears away, then tries to sit on your lap, it's hard to feel sad." 16. "It's not what we have in life, but who we have in our lives that matters"
17. 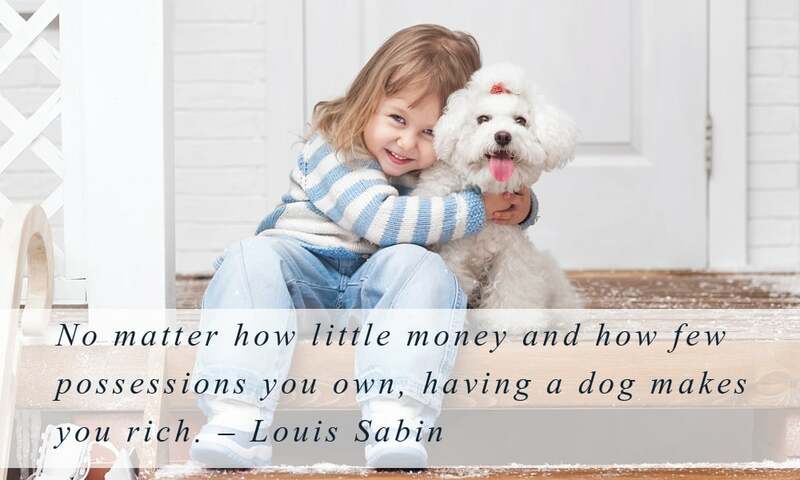 "No matter how little money and how few possessions you own, having a dog makes you feel rich." 18. 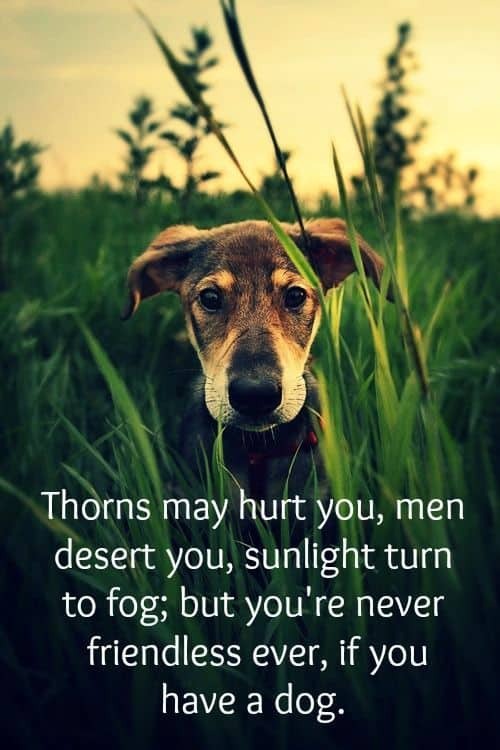 "Thorns may hurt you, men desert you, sunlight turn to fog; but you're never friendless ever, if you have a dog." 19. "What a beautiful world it would be... 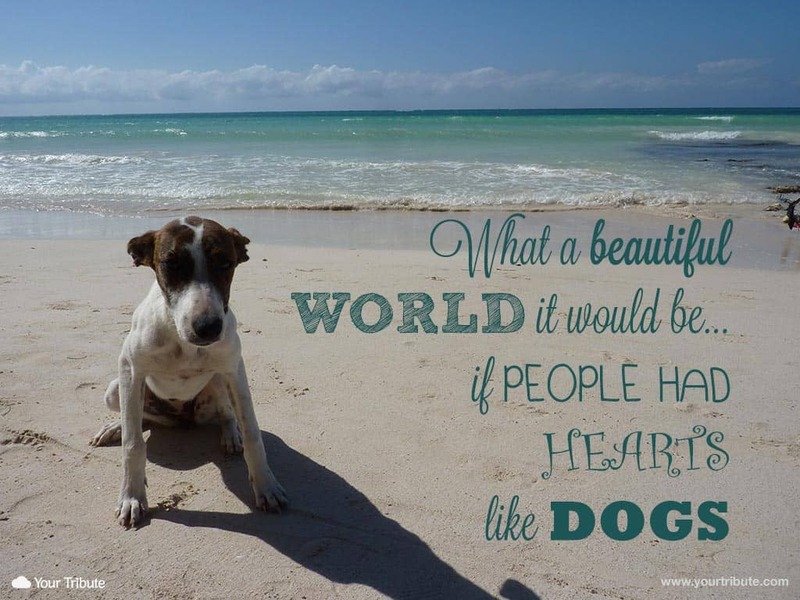 If people had hearts like dogs." 20. 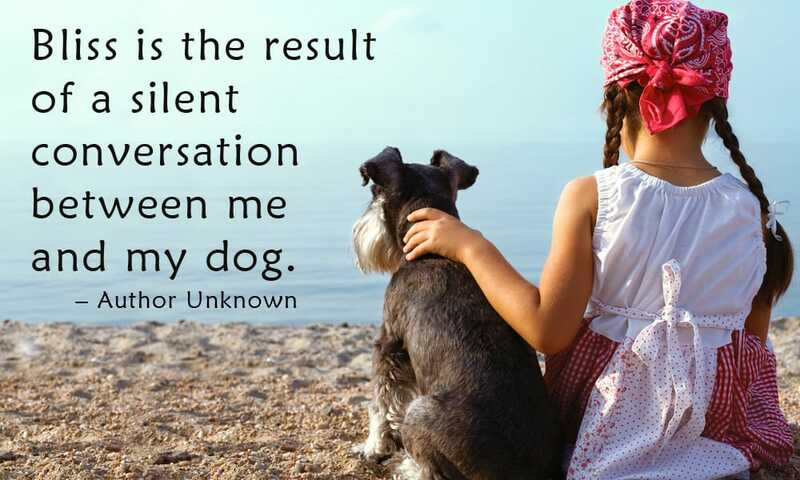 "Bliss is the result of a silent conversation between me and my dog"
21. 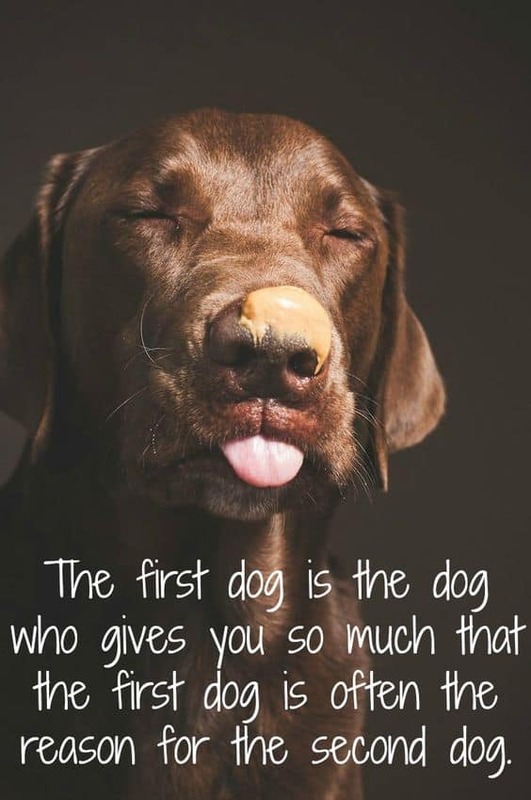 "The first dog is the dog who gives you so much that the first dog is often the reason for the second dog." 22. 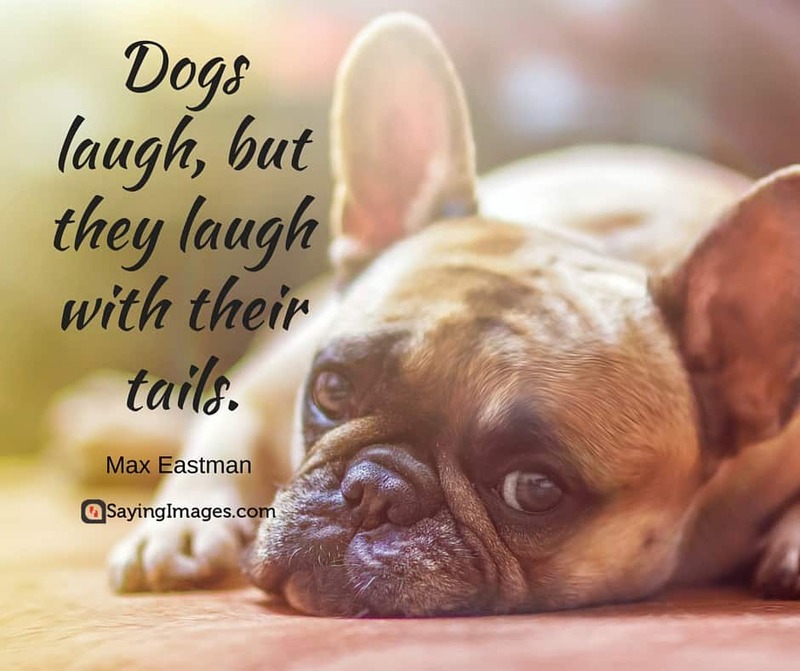 "Dogs laugh, but they laugh with their tails." 23. 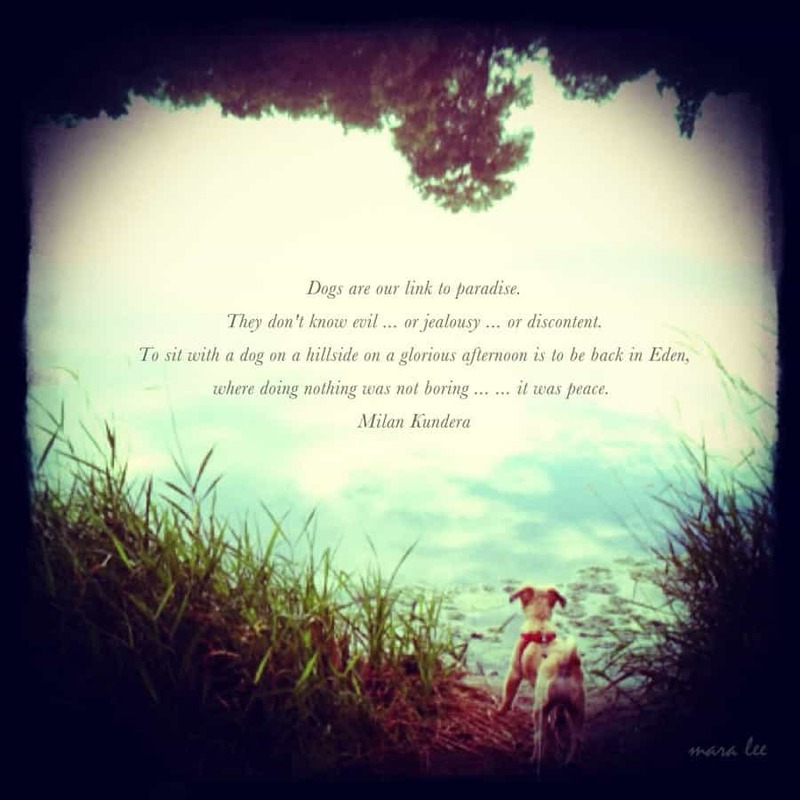 Dogs are our link to paradise. They don't know evil... or jealousy... or discontent. To sit with a dog on a hillside on a glorious afternoon is to be back in Eden, where doing nothing was not boring... ... it was peace. 24. 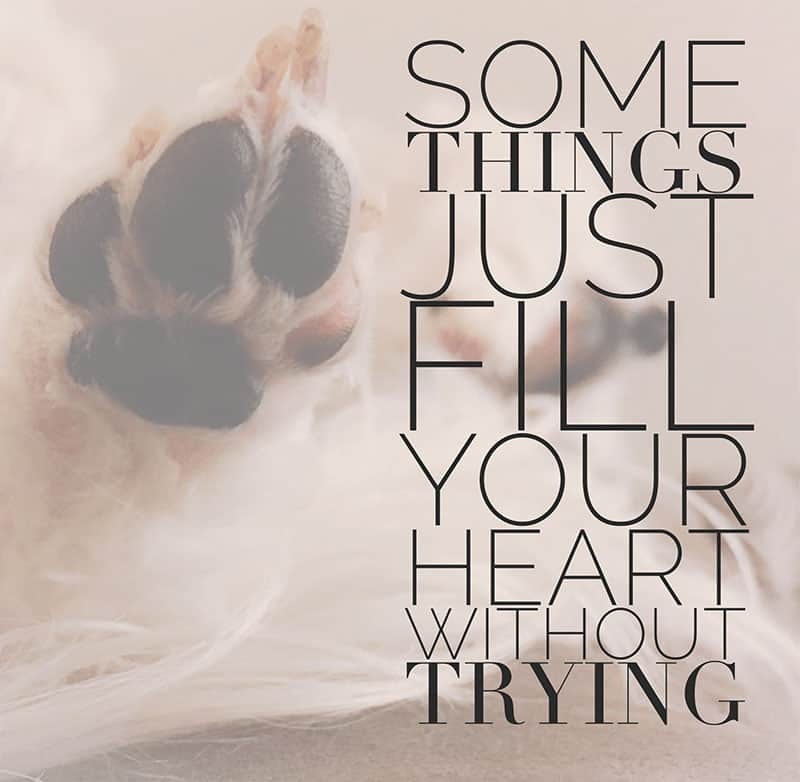 "Some things just fill your heart with trying"
25. 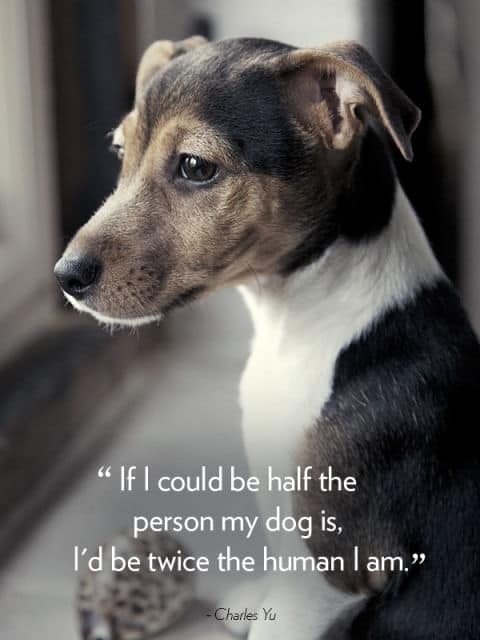 "If I could be half the person my dog is, I'd be twice the human I am"
26. 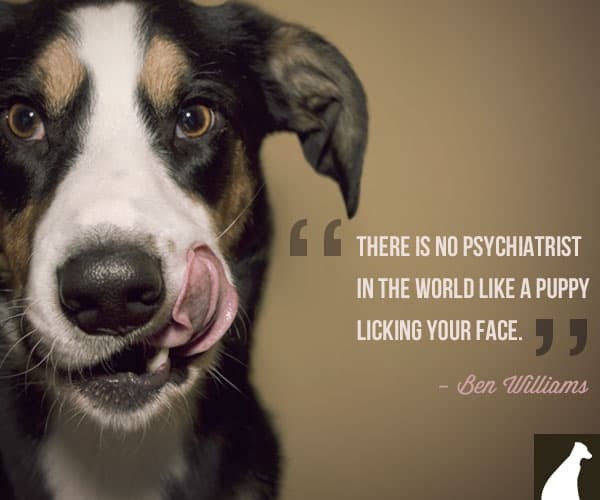 "There is no psychiatrist in the world like a puppy licking your face." 27. "Dogs have a way of finding the people who need them, and filling the emptiness we didn't ever know we had"
28. 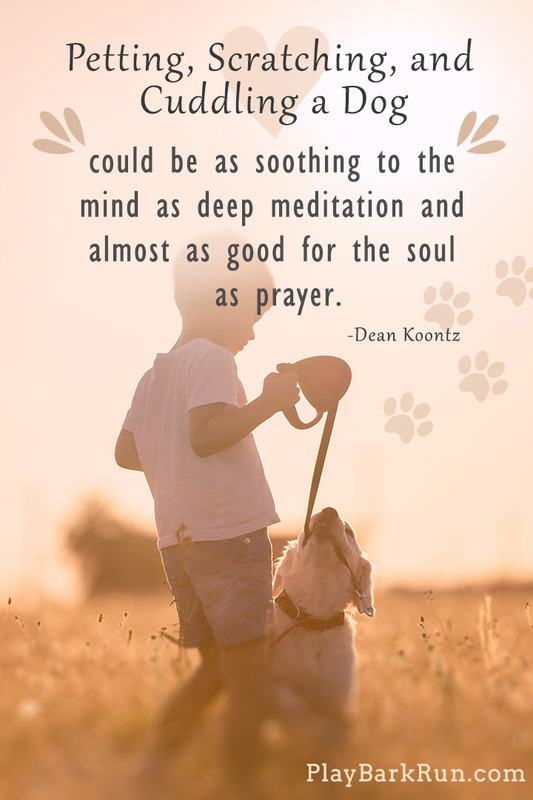 "​Petting, scratching, and cuddling a dog could be as soothing to the mind as deep meditation and almost as good for the soul as prayer"
you pay little love , he will multiply it. Dogs are just wonderful pets. They will always be there for you and protect you and of course they are cute but most importantly they will never love someone as much as they love you. I always wanted a dog because they are loyal, cute and always protect you and what I said earlier is that they will always be there for you. Great beat ! I would like to apprentice while you amend your website, how can i subscribe for a blog web site? 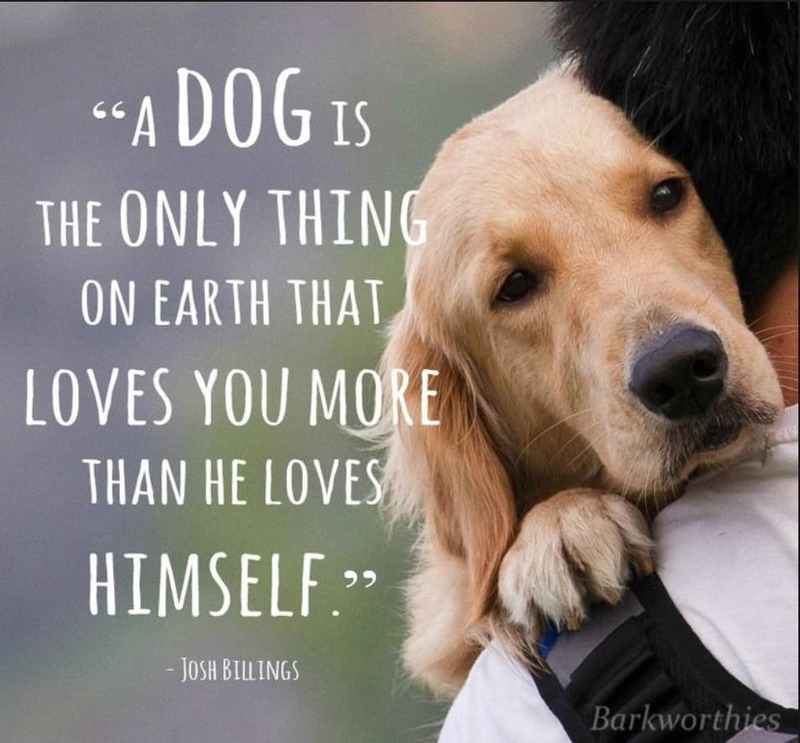 I love dogs they are amazing, they help people, they are super loving, and there are different shapes and sizes. 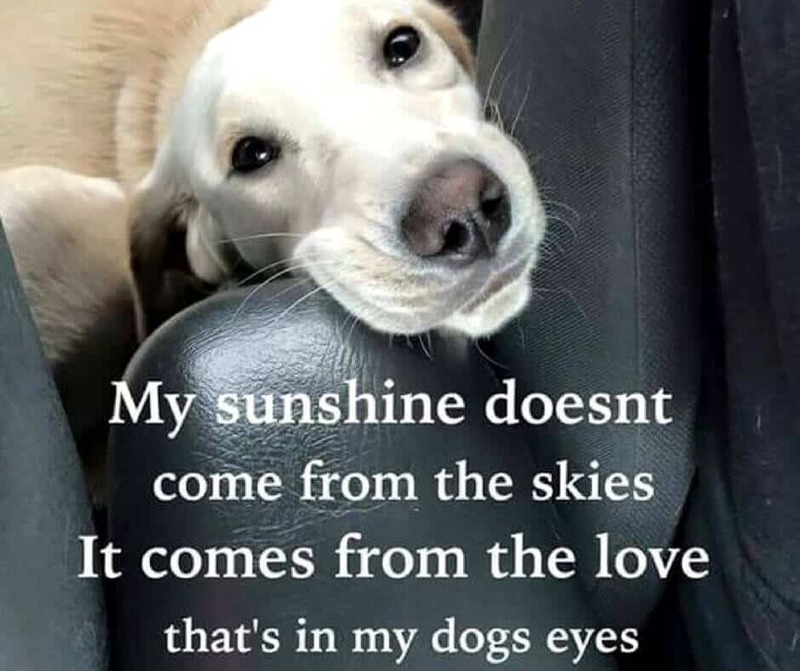 If someone says they hate dogs…. I hate them ;-;.